We farm because it's honestly what we believe God has given us to do. We farm because we get to serve other families who, like ours, seek out wholesome, nourishing food for their kids. It's the love for being outdoors, surrounded by nature, and being close to the earth. 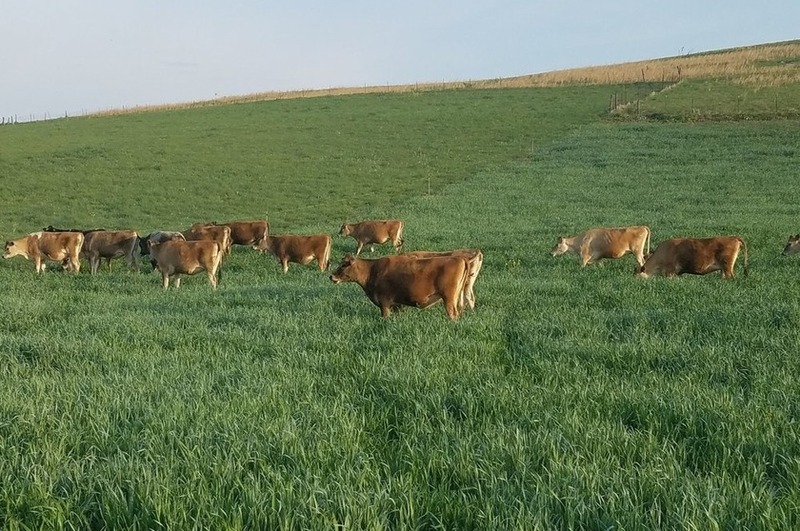 We love these cows and caring for them in the best ways by providing a healthy, low-stress environment with sunshine and fresh pasture. You get to know a cow really well when you milk her every day! It's a lifestyle and we feel honored to live here, in this Valley and on this farm, and to be a part of a healthy shift towards cleaner, fresher food by serving the families in our community. Cheers!